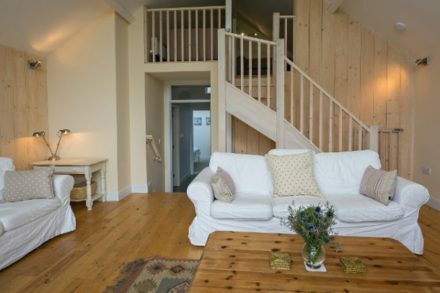 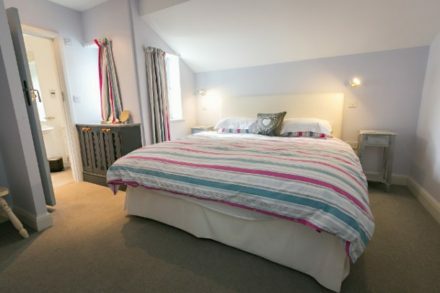 Beachcomber Cottage is located in the beautiful north Norfolk village of Overstrand and can sleep up to 6 people. 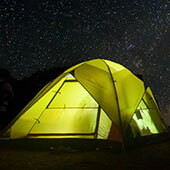 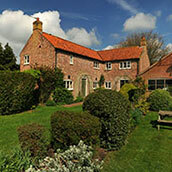 It’s positioned in a very quiet location and offers guests a peaceful and tranquil holiday. 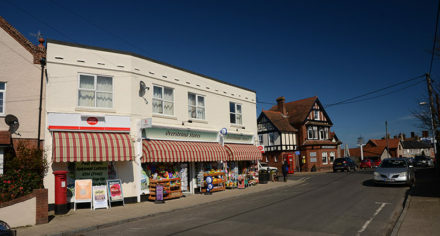 The property is close to the village shop, café, restaurant, pub, post office and hotel. 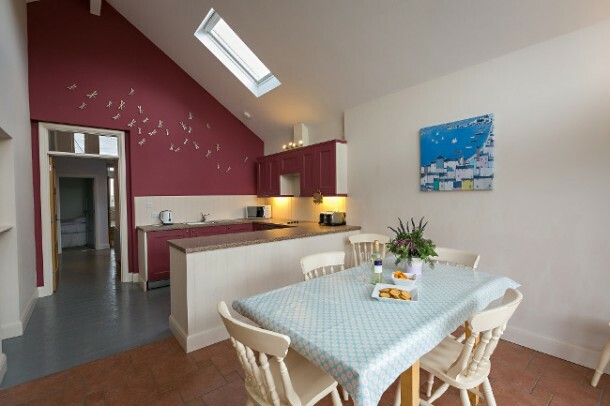 Beachcomber Cottage offers a spacious kitchen and dining room with French doors onto the south facing patio. 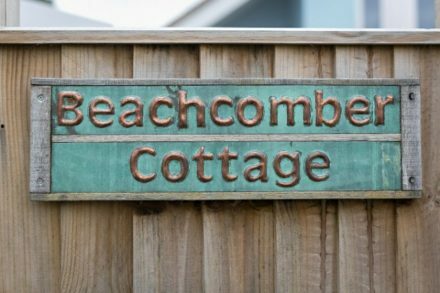 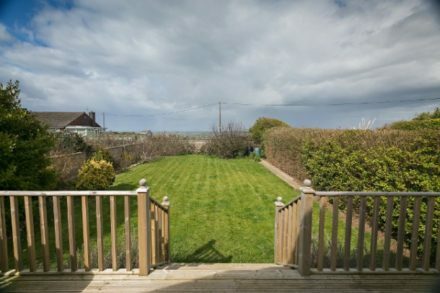 The detached cottage resembles a very large beach hut, renovated with care and decorated to a high standard. It’s very airy and light with high ceilings and large glass windows. 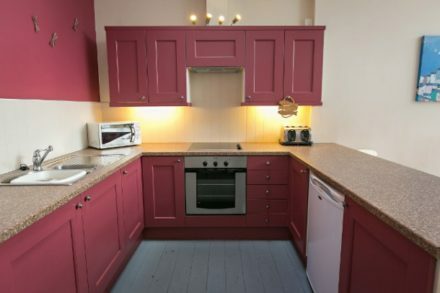 The property has a lovely, warm and special feeling about the place. It’s a ‘home from home’ with all mod cons and a delightful upstairs lounge area with glorious sea views. 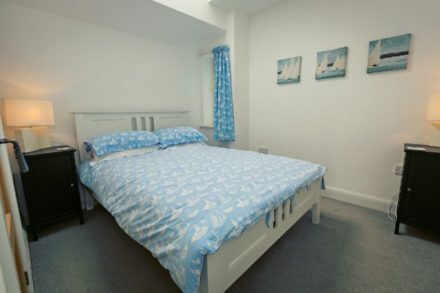 The property has 3 bedrooms. 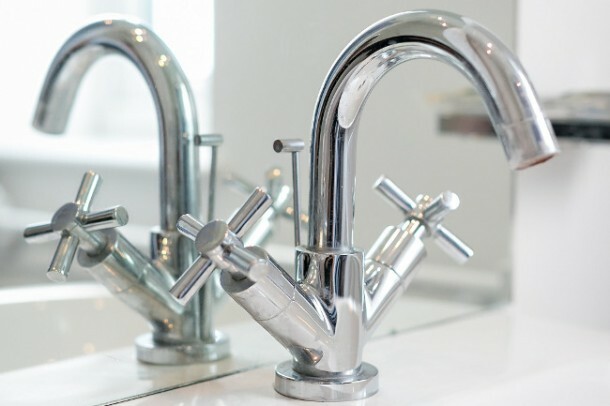 The first has a superking size bed with a large ensuite shower room, the second has a double bed and an ensuite wash basin plus a toilet and the third bedroom has twin beds. 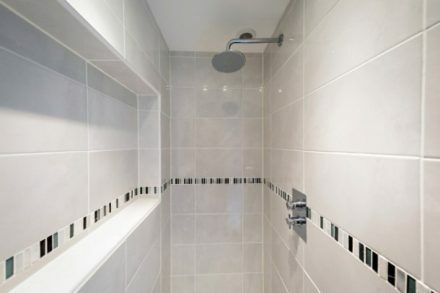 The family bathroom is spacious with a standalone bath. 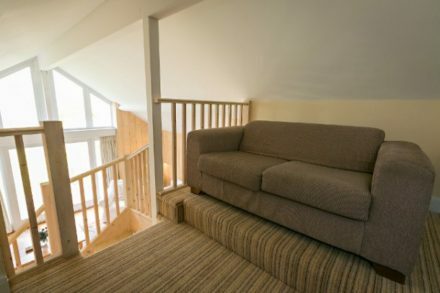 Many of the rooms are on the ground floor (ideal for guests that are less mobile), the raised lounge is very spacious and from here the staircase rises into the mezzanine floor. 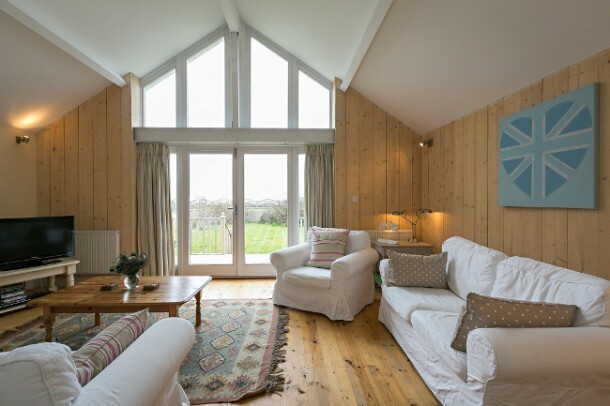 With a spectacular sea view it’s a great room for children or adults who want more space. It has an LCD TV with two comfy sofas books, magazines and a selection of films to enjoy. 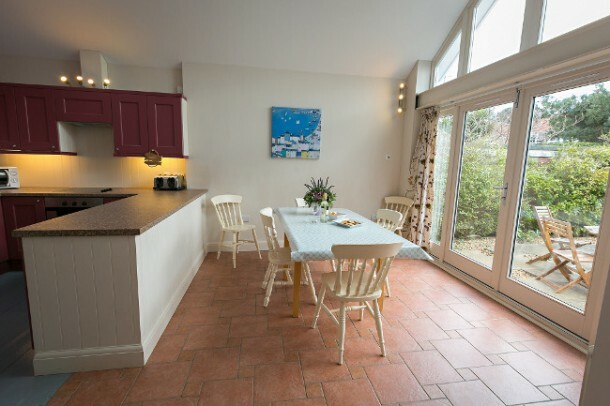 The spacious kitchen/diner has modern kitchen appliances with French doors on to a south facing patio. 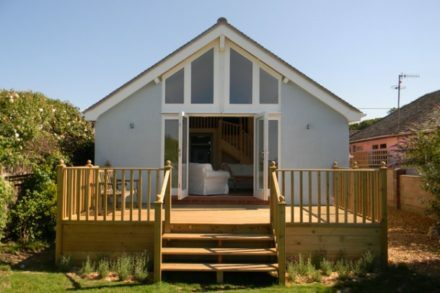 There’s two outside areas, the front is enclosed and private. The second is an enclosed decked area at the back of the property that’s ideal for eating ‘al-fresco’ and enjoying a barbeque. 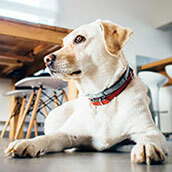 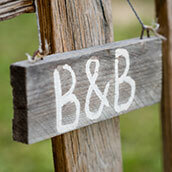 Pets are welcome to stay by prior arrangement and there’s WiFi throughout the property. 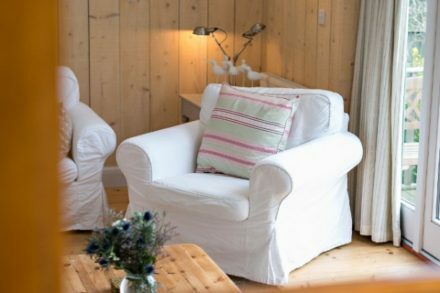 The cottage is owner-managed and personally cared for, thus helping to make your stay as comfortable as possible. 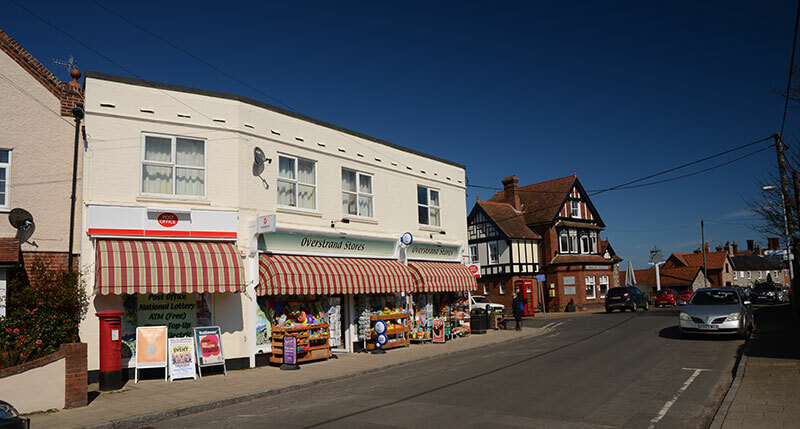 Overstrand is a charming village 2 miles east of Cromer, once known as the “the village of millionaires”. 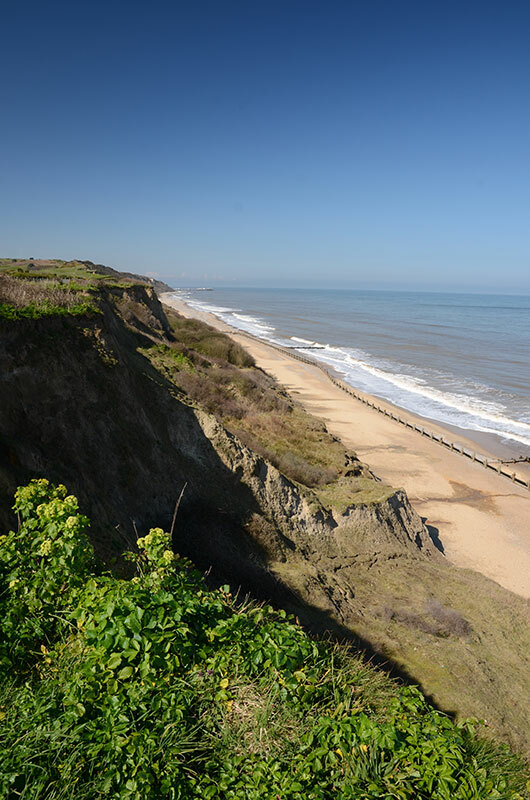 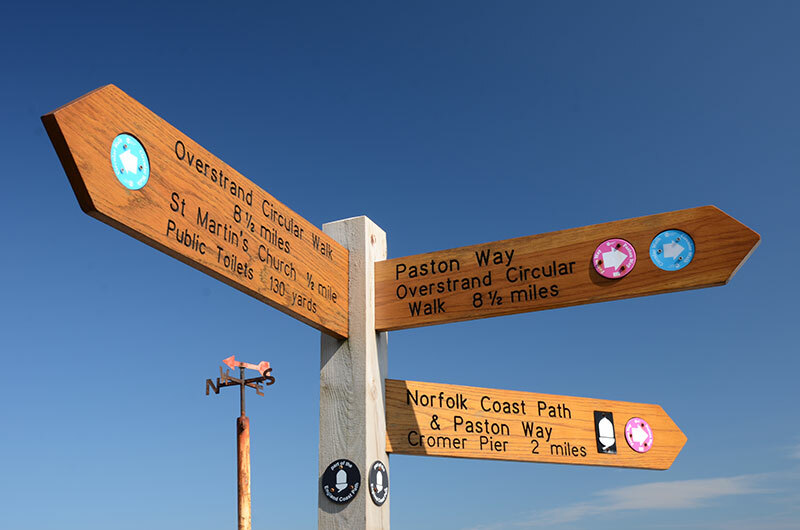 It boasts having one of the best sandy, golden beaches in Norfolk (perfect for families) and offers a shop, pub and restaurants. 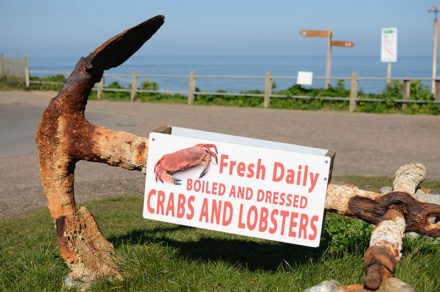 Freshly caught crabs and lobsters can be bought from the fishermen’s clifftop shop.